When it comes to energy efficient heating systems for your home, heat pumps can be a wonderful option. Instead of generating their own warm air, heat pumps take warm air from outside of your home and pump it through your house, giving you the level of comfort you desire inside your home without costing you a fortune in energy bills. Additionally, they can double as an air conditioning system during the summer by using the same process to take cool air and circulate it through your home. 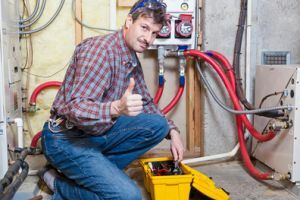 Even though they are one of the most efficient heating and cooling systems on the market, heat pumps are still going to require care from time to time, and like other systems, the sooner you are able to get your heat pump the repairs it needs, the less likely your system is to suffer any additional damage. Here at Mobley Heating & Air, our local heating contractors are ready to provide you with the quality and timely repairs you need to keep your heat pump running its best all throughout the year. For quality service that never compromises, you can always count on us. Here at Mobley Heating & Air, each and every one of our local air conditioning and heating experts are fully licensed, trained, and experienced in the field, and we are ready to provide you with the quality service you need to keep your home's heat pump running its best at all times. We never sacrifice quality for the sake of speed in our services, and we are never going to sell you on a product or service that you don't need. 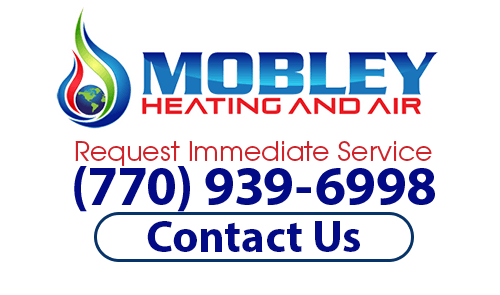 Here at Mobley Heating & Air, our customers are also our neighbors and friends, and as such, you can rest assured that we are going to perform our work with the same level of care and attention to detail that we would expect in our own homes. If you have any questions about our full line of high quality heat pump repair services, or if you would like to schedule an appointment for consultation with one of our specialists, give us a call today. Our team of experts are always standing by and would be more than happy to assist you in any way we can. Like any other heating system, anytime your heat pump develops any kind of issue, no matter how small or insignificant it might seem, it is important to ensure you reach out to a professional and get your system the care it needs to resolve the problem right away. That being said, many times, heat pumps are used in conjunction with other heating and cooling systems, and as such, it can be difficult sometimes to determine where exactly the issue lies. In this situations, the best thing you can do is have one of our local air conditioning and heating experts come out and give your heat pump a thorough inspection to determine exactly where the problem resides. After identifying the issue, our team of professionals will get right to work in getting the issue resolved so that you and your family can enjoy the comfort of your home once more. If you need heat pump repair services, then please give our heating contractors a call at (770) 939-6998 or complete our online request form.